Many years ago, as children, we entered the gates of Walt Disney World’s Magic Kingdom to find ourselves swept away by awe and wonder. We stood, breathlessly, as our eyes beheld Cinderella’s Castle at the end of the grandest street in America, Main Street USA. Until that moment, we had only imagined the wonders we would see. Our hearts raced with anticipation as we walked further into the spectacular wonderland. While adults checking and rechecking park maps crossed one another’s paths, we tugged eagerly at the hands of the ones we needed to show us the way. Our thoughts were of something no adult could fully grasp, we were standing in the place Mickey Mouse calls home. Our fondest hope was that of meeting him and every captivating character Walt Disney had brought into our homes… and lives. They were as real to us as the very ground where we stood, and we needed to find and hug each one. Of course, we also needed to purchase the must-have monogrammed mouse ears, ride every single ride (more than once), eat everything in sight, watch every parade, and witness Tinkerbell whisking her way across the night sky signaling the fireworks show to beat every July 4th we’d ever seen. We did it all, and it was great! Unfortunately, our magical adventure would eventually come to an end. Until then, we would stand amidst thousands and watch as the final bit of pixie dust fell to the earth. With maps put away, the adults crossed one another’s paths as we tugged at the hands of the ones we needed to help us purchase one last souvenir. Then, with tear-filled eyes, we walked away from Cinderella’s Castle and cried just a little ––well, maybe a lot. Within our hearts and minds, we held the memories of an unforgettable day we would treasure forever. As we neared the exit, the smell of something mouth-watering carried across a Florida breeze, and the adults took out their money once more, stood in one last line and bought the best food in all of Disney World (perhaps in the entire world), Magic Kingdom popcorn! Then with one final glance down Main Street USA, we left Walt’s wonderful land hoping to visit Mickey and friends again one day. As adults, we return to Walt Disney’s Magic Kingdom, and while much of it remains just as he envisioned and we remember, Imagineers have expanded upon his magnificent dream. Instead of checking maps, we rush to check wait-times, get Fast Passes, and make meal reservations. Adults multi-tasking in an effort to maximize the experience all-too-often miss out on the wonder and awe that they enjoyed as children. For some, getting soaked on Splash Mountain a zillion times is a thing of the past, and the pursuit of revisiting the characters has long been forgotten. Many of them are completely unaware that Disney’s extraordinary characters have scattered numerous reminders throughout the Kingdom to awaken the child within them. 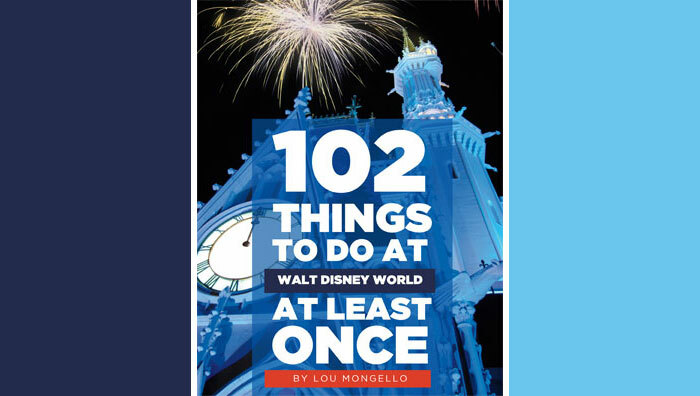 On a recent trip to Disney World, we two adults ––my husband and I–– decided to rush a little less, reminisce a little more, and see the World through open minds and hearts just as we had done as children. 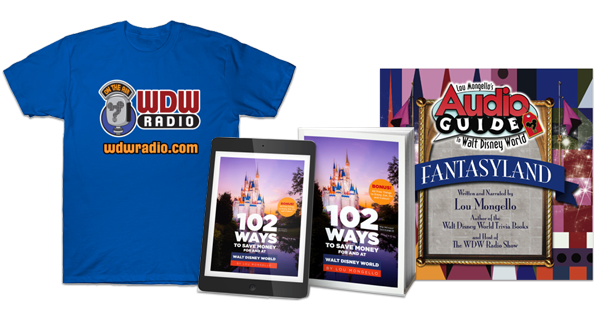 So, from the moment we arrived at Walt Disney World Resort, we purposed to recapture the magic we felt the very first time we walked through the Magic Kingdom’s Main Street Train Station to the sound of the whistle blowing in the distance. After we checked into our favorite resort, we freshened up, and rode the Monorail to the Magic Kingdom. We eagerly made our way into the park, looked down Main Street USA, and stood facing Cinderella’s magnificent castle. Looking forward for an instant, then at each other, we smiled simultaneously and walked onward into our adventure. As we did, I must confess that my eyes welled just a bit ––well, maybe a lot–– as I recalled wearing my pink Minnie ears on my first trip to Disney World at age five. Suddenly, I tugged at my husband’s hand knowing that, this time, we would show each other the way. Our goal was to revisit and renew our childhood memories while making some new ones by way of the hidden in plain sight reminders scattered about by Walt’s friends. First stop, Cinderella’s Castle where we found Gus, Jaq and the others. There they were ––just as we knew they would be–– in their best friend’s home hiding atop the castle pillars. As we leisurely viewed the beautiful mosaic walls, we heard a strange, yet familiar howling in the distance. Drawn by its haunting call, we followed its echo to an eerie Mansion. Once inside, we boarded a doom buggy and took a ghostly ride through the darkness. Along the way, we witnessed Madame Leota call upon the ghosts to appear, beheld an ethereal dance and fearsome duel, observed a lady who simply could not keep a husband, sang along with some grim grinning ghosts who were out to socialize, were bid farewell by a small woman who invited us to “Hurry back”, and had a hitchhiking ghost slip into our buggy. While we were not surprised to find any of these spirits residing in the Haunted Mansion, there was one character we did not expect to see there, Mr. Toad. Perhaps, since Winnie-the-Pooh and friends moved into his former residence, Mr. Toad was there visiting a dearly departed friend in the pet cemetery. We decided to saunter on over to Mr. Toad’s old place, now Pooh’s place, the Hundred Acre Wood. We boarded a honey pot and set off on a meandering ride through the Wood. As we neared friend Owl’s house, we observed absolute proof that our dear Mr. Toad had, in fact, turned over the “Deed to the Property” to Pooh. In addition, we noticed a framed portrait of Pooh and his newfound friend, Moley. As our trip through the Wood approached its end, we discovered the Silly Old Bear enjoying a bit of honey and realized that, we too, had a rumbly in our tumblies. It was time for something to eat. There was no question where we were headed next. A couple of pasta-loving romantics at heart, we had to return to Main Street and Tony’s Town Square Restaurant where we would share a plate of very long spaghetti just like Lady and the Tramp. As we drew near to the steps to the establishment, we noticed the canine couple’s paw prints forever marking the location of their first date. After a delicious meal, it is always nice to kick back and watch a show. So we rolled on over to Grizzly Hall for the Country Bear Jamboree in Frontierland. As we shuffled inside amid the crowd of eager show goers, we looked down and noticed that at one time or another, there must have been a lot of bears a pushin’ and a shovin’ their way into the show. There were claw marks all over the floor. Once we had taken our seats and the singing began, we knew why there had been such a scuffle to get inside. Henry, Wendell, Trixie, Big Al and all the rest put on a rousin’, foot-tappin’, hootin’, hollerin’ good ole show. Not unlike most exiting the theater, we went out singing the lyrics, “Mama don’t whoop little Buford”. The sounds of nearby cannon fire interrupted our harmonizing and lured us to the treacherous shores of the Caribbean and Fort Castillo del Morro. We hastened around the bend, boarded a boat with a bunch of land lovers and sailed off into the chilling darkness. Before we knew what was happening we had run headlong into a storm and a slimy, squid-faced pirate named Davy Jones. Spooked we were; yet, we and the rest of our shipmates stayed the course ––mostly because we had no choice in the matter and mutiny didn’t seem like a good idea at the time. As we sailed along, we saw many of the pirates of old and overheard our fellow travelers talking about some new pirates that had shown up at the Fort. They be none other than Jack Sparrow, Captain of the Black Pearl, and Captain Hector Barbossa. We spotted them amidst the hundreds of other pirates who were too rum-drunk to realize they were repeating the same song over and over and over again. It’s a catchy tune that, for a little while, replaced “Mama don’t whoop little Buford”. Before we knew it our trip on stranger tides had reached its end when we bumped into the boat in front of us. However, our Caribbean adventure was far from over. From the dock, we ascended through a stone maze back to ground level and into the Pirate League. There, resting on a shelf, we discovered the chest containing Davy Jones’ heart and a map leading us to the edge of the world. Around the corner, hidden in plain sight, was the final missing piece of Aztec gold hanging around a vase, and dangling from another, the key to Davy Jones’ chest. While we marveled at the treasures we had found, we overheard a member of the Pirate League telling another land lover that Tinkerbell had been a prisoner there, and as a result, her fury burned so hot that she scorched a mark into the door. He also whispered that the pirates had stolen Cinderella’s tiara, but her court had retrieved it, and just to teach the pirates a lesson, her loyal subjects stealthily stole Davy Jones’ pipe. Though we wanted to congratulate Cinderella’s court on their brave service to her highness, time did not permit. The sun had given way to the star-speckled dark. Soon it would be time to watch, the now freed, Tinkerbell take flight just as she had done so many times before. Not unlike when we were children, we wanted to experience every moment of the day’s grand finale. So, we went in search of the perfect viewing location. We slipped quickly around the castle and serendipitously discovered a path heretofore unnoticed by us. We followed it to a wishing well inscribed with the phrase, “Your wishes will help the dreams of children come true.” Pausing for a moment, we both tossed every coin we had in our pockets into the wishing well, and with our eyes tightly closed, we silently made our wishes for all the children ––the young ones and we older ones, too. Don’t ask, we’ll never tell, after all, wishes only come true when they are kept secret. With little time to spare, we hurried to the Tomorrowland bridge. There we stood with childlike wonder awaiting Tinkerbell’s arrival. Suddenly, the music began to play and there she was, there she really was… gracefully, determinedly flying with her magic wand outstretched ––twinkling in the dark–– signaling the start of the Magic Kingdom’s brilliant fireworks. When the final flashes had burst into the late-night air, our thoughts and desires turned to one shared thought, how quickly can we get in line for popcorn? Thank you! What a great story. I did the same thing the last time I was at Disneyland. It brought back so many memories but I also discovered new sights, sounds and smells I had before. I really enjoyed every word of this post Kendall! Thanks so much! What a great way to treasure the magic and memories.